The end of a mano? Though my mother bought it for me nearly two years ago as a Bridal Shower gift, I didn’t open my white Artisan KitchenAid until last week. Could I be more ungrateful? Possibly, but in a kitchen with only one tiny counter-top, there is no room for a heavy kitchen tool of limited use, and little reason when you’re an avid devotee of the electric hand mixer. Oh boy, could I have been more stubbornly wrong? Perhaps what I was really afraid of was the vanilla bean effect, where one use of it would transform my relationship into an torrid love-affair, and there would be no going back. Because people, have no doubt: there is no going back. Last weekend was the weekend of eggs by the dozen. Twelve yolks needed to be beaten into white ribbons, twelve whites needed to be reformatted as an enormous cloud, and then there were the pavlovas, plural, not to mention the giant vat of whipped cream filling. Just a few weeks ago, my work would have rewarded me with an aching arm and a most-certainly splattered kitchen wall from that moment when I wasn’t paying attention and titled the electric beaters back ever-so-slightly, because you know, that always happens. But this time, my baking left me with a distinct feeling of uselessness. My egg whites, yolk ribbons and whipped creams no longer needed me. Once I put ingredients in the bowl and turned the motor on, I could walk away and attend to other things. Freedom! Yet, fear not. Whatever melodrama the brashly independent egg whites summoned in me was quickly erased as I used the paddle and then the dough hook attachment to make a biga this morning. Suffice it to say that my days of making doughs in the “rustic, classic preparation style” or “a mano” are simply over. I may love the feel and process of bread-making, but not enough that I can’t honestly say I miss bench-scraping down the counter or picking kneaded bits out from under my fingernails right now. In just a few minutes, that dough hook created the tenderest, most pliable and perfectly tacky dough I have ever seen. Botulism?! Wha? Many, many months ago, on suggestion from intrepid commenter Cupcakes, I ordered a few corked bottles for about 97 cents each from the awesome Specialty Bottle Company. (Also a great resource for those spice tins.) I finally got around to using them to infuse a few olive oils yesterday, something I’d been inspired to do since I saw the array at L’Epicerie in Paris. A few rosemary springs, hot peppers and garlic cloves on a stick later, I was so satisfied with my work, it should have come as no surprise when I learned this morning that I seem to have accidentally (“Sure,” Alex says, “accidentally.”) tried to kill us. Apparently, the mix of raw garlic cloves and olive oil, surely among the greatest flavors in the world, can cause BOTULISM and also DEATH, and yes, this information has been imparted to me on multiple web pages in both all-caps and exclamation points. I’m a bit wary of screaming web pages, and choose instead to put my life and the life of my one-and-only in my readers’ hands. 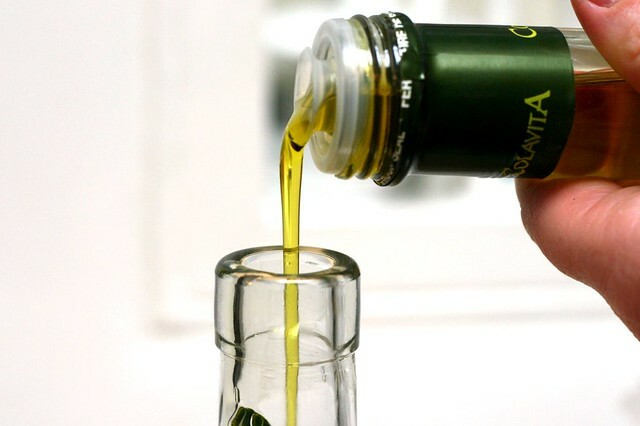 Is infusing olive oils with raw ingredients really unsafe? No pressure or anything, okay? Oh right. This is a cooking blog. Apropos of nothing, two weeks ago I made the most perfect rice pudding I’ve ever eaten. Yes, I know, I already said that last month about Marie-Louise’s Rice Pudding but I forgot to mention that I’m freaking lazy, and that one took two hours. This one took not one minute longer than 40, and is an excellent use for that Arborio rice leftover from your risotto al la two-buck-chuck. I kept the flavors of the earlier one, using only half a vanilla bean and a bay leaf (don’t knock it until you’ve tried it), and skipped the caramel sauce. It’s a Gale Gand recipe, and though not from her new cookbook, if this is any sign of the goodness that awaits me when I finally break into it, I cannot wait. Do yourself a favor and try this. In a large saucepan, place all the ingredients, except the almond extract and raspberries. Bring it to a gentle boil and then turn it down to a gentle simmer, stirring occasionally to keep it from sticking to the bottom, for about 30 to 40 minutes. Taste the rice to check for doneness. The rice should be very soft and plump. Take the pudding off the heat and stir in the extract. Pour into dessert bowls and stir in some fresh raspberries, or other dried or fresh fruit. Serve immediately. Love the post and photos! I too shunned the mix-aid, and then in one fell swoop discovered how fantastic and easy the stand mixer can make tedious recipes, especially with things like egg whites and pasta dough. The only exception is that it drives me nuts to cook for two with one of those – too much cleanup!! I have been known to whip whip-cream by hand when it’s only for the two of us. 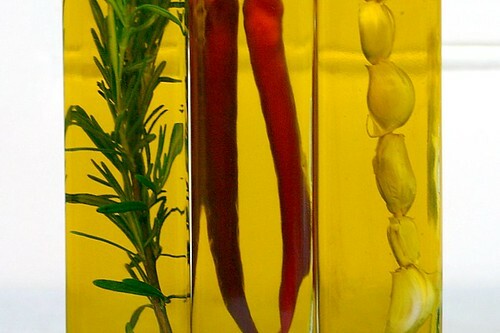 Yep, infusing oil with raw ingredients really is unsafe, unfortunately. My mother made the same mistake, which I discovered when she found the bottles in the basement several years later and wanted to use them… ack! You’ll probably be fine if you refrigerate them now and use them within 1-2 weeks, or freeze them and thaw before using. You might try again using dried ingredients, since I think it’s the combination of water and no air/oxygen that makes it easy for botulism to grow. Or you can add an acidic ingredient like citric acid which will also help restrict the botulism (still need to refrigerate this way too). There seems to be a way to heat the raw ingredients and oil together, then strain and use the flavored oil. This stuff would be safe at room temperature and for a longer time because there is no water left. Vinegar is always safe for infusing, so I would probably just try that instead. A lot of the appeal of these bottles is looking at the pretty pretty ingredients, right? Oops, forgot this… PDF with infused oil safety (only a little yelling) and instructions for making the heat-infused kind that can be kept at room temperature. IÃ‚Â´m sure weÃ‚Â´ll hear much more from the Kitchen Aid because it looks as if itÃ‚Â´ll help you save hours in the kitchen… and IÃ‚Â´m sure youÃ‚Â´ll get over your fear of your eggs and doughs being too independent after getting rid of much of the hard work. 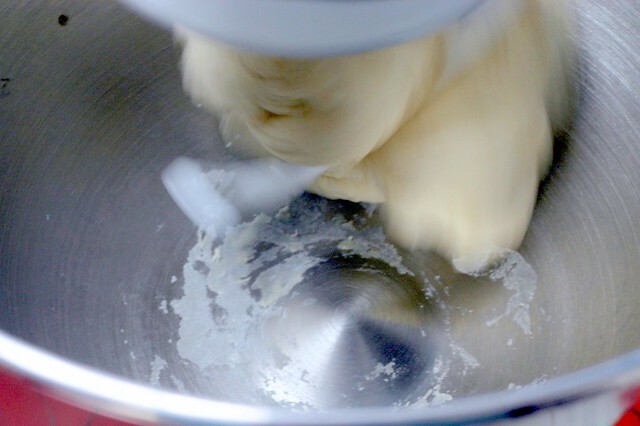 I still advocate kneading dough by hand because I just love the feeling and the relaxation it brings me, but I admit IÃ‚Â´ll probably do it “a mano” only half of the times if I had a machine like that. Kitchen Aids also last FOREVER. My grandmother has a lovely avocado green one that is about 40 years old and has cooked for 7 children. She offered to have it professionally repainted as a wedding gift for me and due to the lack of counterspace (and my stubbornness that I want a new one) I turned her down… Does that make me a bad person? Until the day comes when a lovely stainless or pink one sits on my counter, my hand mixer will have to suffice. Glad you finally broke it out though! Yes, storing roots in a low-oxygen, low-acidity environment with moisture present is the perfect way to grow C. botulinium. So, garlic in oil isn’t safe, and neither is your great-grandmother’s recipe for canning carrots. Be sure to use new (pressure-canning) recipes for low-acid home canning, especially of root vegetables (C. botulinium is a soil bacterium, but other produce can be contaminated as well, as almost everything comes into contact with dirt.) Extension schools are good sources of information on home canning and food safety. Ok i have to laugh @ me… this post has made me feel totally paranoid all day..
anyways, I know this has nothing to do with cooking, but it was funny and i thought Id pass it along. Oy, Ive had too much wine i think. I’m so jealous of that mixer! Every time I go into a store with kitchen appliances, I drool on them. I’m glad they don’t rust. specialitybottle.com is one of my favorite resources to fuel my obsession with cute little bottles. I recently ordered a bunch of cobalt blue bottles for my spices but have yet to actually put them to use. I’ve never heard of the deal with garlic and olive oil, but it makes sense. That’s a shame, because I LOVE garlic infused olive oil with some fresh italian bread. Cate raises some good points. My mom is a canner and she’s drilled things like that into my head ever since I was a kid. I’m a canner, but usually can only high acid foods in a hot water bath. I don’t have the kitchen space for pressure canning. I’m really glad you brought this to my attention because I’ve been itching to try infused oils for sourdough breads. Thanks. I love my kitchenaid. I was given one as an anniversary gift from hubby years back. I broke the dough hook on it within 3 months! The company sent me a new hook immediately. I used that white artisan 4qt model through all of Baking with Julia. Two years ago, I decided I needed a bigger one, even though I had the extra work bowl for my little 4qt model. My machine would get hot making brioche. I did my reasearch and got my professional black hd 5qt 425w model from Costco. I love it. Brioche do not worry me. My machine can make as many batches as I have room for. I just need more accessories for this new model now. I, for one, couldn’t bear to live without my KA mixer. In fact, I have two. I have no shame. I think the Jen(n)ifer’s on your blog are taking over! Also, have you seen this? I couldn’t believe the price! I had to share. To add to the KitchenAid lauds…. I got one (finally!) for my Bday last November. For Christmas I got the pasta attachments. On December 26th made by first batch of pasta, and the mixer died. (yes, this really is a laud for KA…) I called the customer service line, answered a few questions, and they had a new one to me in time for my Jan. 2nd party….. And shipped that bad one back for free. It’s an expensive product, but that’s the quality you get in return. And meringues that rock! Deb, I have been reading your blog for months (November) now and never posted. I absolutely love it/you. Your photographs are incredible and your writing is humorous and skillful. I always look forward to your latest posts and miss it when you are gone. Anyway…on the subject of Kitchen Aid. I just purchased a Cayenne Red 6 quart stand mixer. This is my 3rd KA mixer and I just adore them. I am fortune to have lots of counter space so I thought red would look so outrageous on my granite counter. Fits my personality, too! Keep the wonderful inspirations coming our way. PS: I think I will venture to make some of your Biga now! I’m sorry the oil didn’t work out!!! Deb, you’re going to love, love, love your kitchen aid, but it’s going to need some attachments and the ice cream freezer bowl. It’s a slippery slope. That rice pudding looks great. Have you seen my post about perpetual vanilla? You should get yourself some cheap vanilla beans and use one of those bottles (after you dump out the poison olive oil) to make your own vanilla extract, much less expensive than buying it. You should’ve never exposed yourself, because you will become addicted to your KA- I don’t know how I cooked without mine (yes I do, I was younger then and had lots of energy to beat, mix and knead!) Enjoy! Confession: We already bought the citrus attachment yesterday, in preparation for margarita season! Next? Obviously, we need flames. Thanks for all the feedback on the olive oil bottles. Begrudgingly, I think I will have to throw it away today, and my inner Yiddishemama is may never recover from tossing $20 worth of ingredients. Especially when there is pesto to be made! But, you know, that whole “living to our next birthday” thing counts for something, right? Loads of whipped cream in minutes. Egg Whites for meringues, waffles, cookie dough in a flash. And the bread dough….there is no comparison. My mother -in-law got me mine for Christmas five years ago — and now I’m lusting for the professional model…. I’ve been using a fantastically simple garlic-infused olive oil for ages that, because it’s not got any garlic solids in it and it’s cooked it’s about as safe as you can get. I store it at room temp and it adds the most incredible flavour to everything I put it in! I skip the blanching stage and just hand-peel 4 heads of garlic (love the smell on my fingers after! ), put into 2c of olive oil and simmer 45 min or so until they’re squishy/tender. Strain out and puree the garlic (it doesn’t have anymore of the bite from the garlic, but a more bland flavour to it), use the oil as you would olive oil (sauces, grilling, marinade, etc). Death by garlic. That would be quite the headline, huh? Seeing as botulism is the main ingredient in Botox, I’m just wondering if one could start treating those laugh lines and crow’s feet, building up an immunity and then throw caution to the wind with the infused oil? You can get the ice-cream attachment to the KA (really, just a freezer bowl) and kill two birds with one stone. If I’d realized such a thing existed, I’d never have registered for my Cuisinart ice cream maker (which I love) separately. Seems redundant now. I hear they work equally well, the KA possible even better because it has a stronger motor. I grew up with a Kitchenaid (my mom’s) and received my own for Christmas when I was about 23…and therefore have made about one batch of cookies in my life without one. 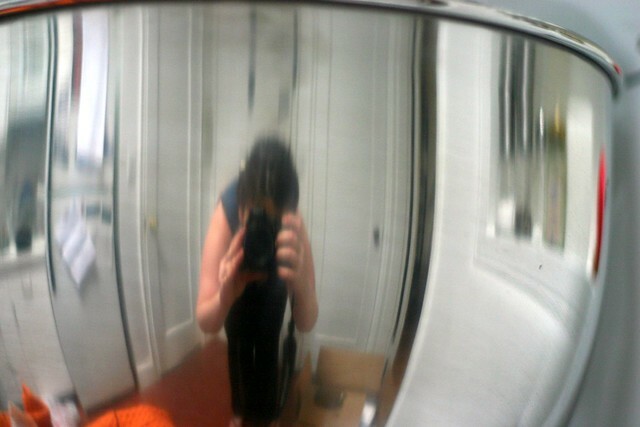 And that was with a handheld mixer; I can’t even imagine using a wooden spoon or something! My family has a bread recipe that makes about 2.5 loaves per recipe. My mom and grandma usually made between 10 and 30 loaves at a time, and would store it in the freezer (and never ever bought bread from the store). My grandma used to feel very silly when she wanted fresh bread and would 1/3 the recipe and make it in her Kitchenaid…so wasteful to turn the oven on for one loaf! Anyway, I am far less inclined to get my hands dirty than my mom or grandma…so it’s Kitchenaid or nothing for my bread-baking. One loaf at a time, too! My mom also has a few of the older attachments (they are 100% cast metal, no plastic parts). The one I remember is a big grating disk attached to a chute, like a food processor. My mom always saved bread ends in the freezer to dry in the oven and grind up into breadcrumbs. Ha, I did the same thing with my mixer for almost a year before I finally took it out of the box. It now has a permanent home on our small counter and is very useful. I secretly hated all my friends that registered for Artisans, especially the 90% of them that got one. I never registered for one and certainly never thought I’d need one. On a very expensive whim, my husband bought me one for Christmas. I protested that he hadn’t shopped around for the best price and I didn’t really need it so we should take it back and keep the money in the bank. Oh how very wrong I was once I admitted it was staying and cleared a spot on the counter for it mid-January. I’d hardly call myself a baker, but I use it for everything, at least 5 times a week. The garlic and olive oil has me puzzled. I’ve never bought it, but how can companies get away with selling those jars of minced garlic packed in olive oil? I swear I’ve seen them in the aisle, not refrigerated. dude, that garlic/botulism thing really bums me out too! Last summer, in an attempt to prolong the beauty of greenmarket garlic and herbs I made a kind of pesto mash and stored it in the fridge. Then I talked to my mom, and she was like, uh, botulism! death! Freezing garlic BAD! so I chucked it all. Sigh. stupid bacteria. Yes, botulism is a risk in the olive oil/garlic mix as per Montana’s health department. I’ve been meaning to comment here for awhile. My sister and I use your website to cook almost everything now. The first recipe of yours I made was the fettucini with porcini, and have loved your site ever since. Yesterday we had your mac and cheese and chocolate stout cake. Please never stop posting, we are counting on you! Yay, so glad you are loving yours as much as I love mine. It really is amazing isn’t it? I think the only other product that comes close to the KA’s awesomeness is the apple peeler/corer/slicer thingy. (Do you have one yet?) But even that is still nowhere as close to as awesome. I love my KitchenAid! I actually got it refurbished, and have never had an issue with it…and saved $300 in the process! I do wish that they offered more than just plain white – because those Breast Cancer pink ones are so cute. You may want to look into purchasing an extra bowl – because when you really start to use it, it is such a drag to have to stop to wash the bowl and attachments. I also have the pasta maker attachment that I am sad to say, I have yet to use. I’m frightened of it – not of actually using it, but of having to CLEAN it. My mom gave me a KitchenAid and my BF (now husband) had to take it out of the box. My mom didn’t need a KitchenAid, why should I? But it is now a cherished item in our kitchen. In fact, for a while it lived at the BF’s place because he really wanted to use it! While I have had some problems with my stand mixer (KA made some changes to the motors a few years ago & have since changed back), I cannot say enough great things about this company – the product is outstanding & the customer service rivals Disney. Polite, efficient, problem solvers staff the phone bank & they make sure their customer is satisfied. If ever anything goes wrong with your beloved machine – ever (including well past warranty) – please call KitchenAid directly – do not go back to the store or a small appliance repair shop. They will make it right. Oh – and I second the recommendation for a 2nd bowl. It’s a life-saver. I can’t imagine making a sponge cake with just 1 mixing bowl: 1 for the sugar & butter & 1 for the egg whites. Have fun! Cool that you’ve finally joined the KA mixer ranks. I’m enjoying all these mixer stories. I grew up with the 5 qt version and when I got money for college graduation gifts it was the first thing I bought for myself. In my family the even get passed down to the next generation. When a cousin wanted one and couldn’t afford it my mother made up an excuse to by herself a new one so that she had an old one to give away. When my folks bought me a 6 quart a few years back my old one went to a friend who I knew would put it to good use. With my old 5 qt I had an extra bowl and a copper bowl liner and haven’t had the means to get the same for the six quart yet:( I also have the grinder attachment, which mostly gets used when making the pickle relish that I can’t seem to live without. FYI…its not just garlic in olive oil, you can create toxic levels of botulism by putting that rosemary and peppers in olive oil too. But as long as you keep it in the refrigerator and use it within a week or two you should be fine. An even safer bet is to roast the garlic/herbs before hand. On a happier note, I love your blog and use your recipes all the time. And I’m extremely jealous of the mixer! I want one! Hold on…you have been making all the wonderful things you make with the simple use of a hand mixer? You ARE amazing! Another KA lover. When I read you’d waited 2 years to open yours, my first reaction was a gasp. Not because I don’t understand – I’ve got small counters too- but because it’s such a shame. You’ll be making up for lost time before you know it. I bought an Artisan and love it but ultimately upgraded to a professional for big batches of cookies and bread. I can’t believe you waited 2 years to break out your Artisan. I took mine out of the box the minute it was delivered and kept it on my coffee table in the living room for a week so as to admire it. If it weren’t so heavy, I would probably have slept with it too. I get what you’re saying about making things by hand. I guess the KA was never a hang up for me because my grandmother has always had one and her way defines homemade for me. My grandmother’s KitchenAid is sitting in my basement. Like you, I have no counter space. Where are you putting yours? Thanks for the rice pudding recipe. Do you have Mexican popsicles where you are? The paletas guys with the little carts? Next time you see one, ask for a rice popsicle. It’s frozen rice pudding on a stick! And deeeeeelicious. If you get the pasta attachment, then you may really know what true love is…i helped a friend make pasta once with hers and briefly considered clubbing her over the head with the wine bottle, stealing the attachment and claiming temporary insanity but i valued the friendship too much. I also value my KA highly and love that it doesn’t need me. I am all for kitchen independence! Funny the timing of your post. I’ve been a KA owner for about 10 years now (black with flames!) and just yesterday opened the keen meat grinder attachment I finally got for Christmas (been hinting for about 3 years now). Homemade sausage and perfect hamburgers figure prominently in our future! I was a bit worried about cleaning something like this after grinding raw meat, but it was unbelieveably easy- comes completely apart and almost all parts excluding the blades are dishwasher safe. Can’t recommend it enough. Hubby is the bread maker, together we use the KA at least once a week. I second the recommendation to buy a second bowl, you’ll use it more often than you think. The Kitchen Aid mixer is the single greatest cooking tool EVER. I can’t believe you had yours just sitting this long! i love arborio rice pudding. if you are still in the market for variations, try mine! my mom always told us when we were growing up that a KA was to be our wedding present. When I up and got engaged to someone she barely knew and set the wedding date shockingly soon she questioned my motivation, she was convinced it was because I couldn’t wait to get my mixer. I know I’ve come late to the discussion, but I came across a couple of good rules of thumb for infusing oils: at the time of preparation, add an acidifying agent such as lemon juice or vinegar to the recipe at the rate of one tablespoon per cup of oil, don’t leave the infusion unrefrigerated for more than eight hours, and throw it out after a week. I know some people are saying “hey don’t worry about it,” but since one gram of botulism is enough to kill a million people, I’m not so keen on taking the risk! I love my KitchenAid!! I received mine one Christmas from my husband. It is Pink!! Which is exactly what I wanted and loved the fact that a part of the purchase amount went to breast cancer research. I now have the ice cream and juicer attachments. I can’t speak highly enough about the mixer. It has inspired me and my husband to try all sorts of recipes that we might otherwise have not tried. Plus, one of my best friends got a pink one for her birthday…so we are always sharing recipes. Hi! My comment is to thank you for the best and simplest rice pudding recipe ever! I love it!!! I have made it twice and have convinced many that rice pudding is a proper dessert! Also, a quick word to congratulate you for your awesome pictures! They are so amazing! I am searching for a good digital camera at the moment and would love to know if yours is an SLR or a small compact… If it is a compact I would love to know what brand and model it is because I would rush to go get one! Thank you for your blog which inspires me to try new recipes and flavours! Or are bay leaves always dried? What’s the story on bay leaves?? Bayleaf, or almond extract – that sounds nice, will try it. Cardamom (oh, that’s true, you don’t like cardamom! I suppose cinnamon would do as well) and a teaspoon of orange blossom water. Cardamom and half a teaspoon of rosewater. (These two are from Nigel Slaters Real Fast Puddings, but of course he doesn’t cook it long enough, as it has to be “real fast”). And now these new flavors as well. Great! I just made this and it is sooo amazing! I used brown sugar and stirred in some tropical dried fruit mix I had around, and it it just the perfect thing for the cold winter night here in Boston! Oh! My! Goodness! Back when I lived in central NY State and fell in love with diner-style rice pudding, I gave up trying to reproduce it after a few failures. But since I found this site just before Hanukah I’ve been increasingly inspired to add to my tentative forays into cooking the way I did before becoming a workaholic. I’m finding cooking to be very good treatment for my disease. Last week I tried the Florence Lesser potato kugel with some modifications for high elevation (5,000 feet) and bone-dry air, and the results were so great that I can’t help but keep branching out. But back to rice pudding. Water boils at a lower temperature here, which meant about 1/2 cup more milk and over an hour for the rice to reach the optimal creamy gushiness. I didn’t have almond extract and couldn’t get my head around the idea of bay leaf, but the good news is that I’ve now discovered the delights of vanilla beans. The little tube of beans in the back of my cupboard is God knows how old, but still were intoxicating. Now I’ll have to buy more to get the full effect of their sweet wonderfulness. So, Deb, thank you, thank you, thank you! I made the Gale Gland recipe this week, and still having rice pudding on the brain, did a SK search to see if you’ve found an even better recipe for next time. Looks like we both favor this one! I want to try your suggested bay leaf next time – I subbed in a cinnamon stick for almond extract, which I thought was an improvement. Cheers! I just wanted to point out that I now make this with vanilla soy milk and sweeten it with about a tablespoon of honey. It works out perfectly. I still add a little almond extract and a little vanilla. I came across this recipe recently and have made it several times since then as we love it! Thank you! I don’t know about the botulism thing.. it’s probably a risk (although this is the first I’d ever heard of it) but it must be a very small risk. I’ve kept raw, peeled garlic cloves in jars of olive oil safely for months, and I’ve been doing it for years. No death by botulism as yet. I did keep the jars in the fridge. But that’s about as far as my safety precautions went, and I’ve used the cloves and the flavoured oil in loads of dishes. what if you cook the garlic? Or is having garlic flavored oil completely out of the question? I am figuring this recipe is for uncooked rice. Any suggestions for a different rice:milk ratio if using already cooked leftover rice? We always have leftover rice from our various Mexican dishes and I think this is the perfect/easiest/most delicious-sounding way to use it up! I would use this recipe and start on the third step — after the rice is cooked. But I agree about the leftover rice, I’ve been working on a rice pudding recipe specifically for that. I love rice pudding, and my KA mixer (and the BF who bought it with the pasta attachment…). I’ve never had any luck with rice pudding using milk to start, my mother always par-cooked it in water and then added milk around halfway. After checking out some traditional Portuguese recipes it appears she used a more traditional method… Lemon rind, cinnamon and bay leaf for flavor, topped with ground cinnamon. yum. I tried to make this with brown rice, forgetting that brown rice takes MUCH longer to cook than aborio rice. It cooked for about an hour and a half and still has a pretty good bite to it, so I’m probably going to let it sit overnight in the fridge and eat it for breakfast tomorrow… Hopefully that will help it soften a little more. Anyway, for anyone looking to make the substitution with brown rice, I HIGHLY recommend using cooked rice and not starting with raw. I just made this for the first time. I used Fat Free milk, which is all I had on hand. It definitely took longer than 30-40 minutes to thicken. To make it creamer and a more fulfilling rice pudding, I think this would be better with milk that has more fat in it. I also switched to Wegman’s arborio rice for the first time, and I’m not sure if it’s the best brand for rice pudding. I’m curious to see how the rice itself does when I make next risotto. I didn’t include the vanilla bean, bay leaf, or almond extract, but took someone else’s suggestion of adding orange zest. That was a really nice addition, and one that I’ll do again. Still hung up on the bay leaf suggestion as adding it to a breakfast/dessert item like rice pudding is a foreign concept to me; that may take a while to try out. Just made this but added 3 tbsps of Makers Mark bourbon. Delicious! My Arborio was slightly off-smelling and sadly, out of date, so I made this with sushi rice and it worked great! Cooked it a bit longer, it was still soupy at 40 minutes, but was terrific later. I used a whole vanilla bean and forgot the almond. I used brown sugar and we put plum-ginger sauce on it–jam that had not jelled enough. Quite tasty. I think I will use sushi rice as my go-to for rice pudding from here on out. what do you do if your milk forms a skin on top? Is that supposed to happen? Jina — It is normal, happens always to puddings. You can press a piece of plastic wrap against the top if you don’t want one to form the next time. If you have room to store it, the most useful piece of kitchen equipment is the Duplicate Anything. You’re on a roll and don’t have to stop to wash the garlic butter off the rubber scraper before you use it for cake. For example. Spare measuring spoons, spare KA bowl, etc. a french swist on the arborio rice pudding – drop the almond extract/bay leaf/berries, sprinkle a layer of chopped dark chocolate between 2 layers of hot rice pudding. for this recipe – about 50 gr/ 2 oz. best to place in individual bowls/cups. love on a spoon. honestly. try it. I just found this recipe and tried my hand at it. I wound up more with sweet rice soup, even though I cooked it for 50 mins and the rice was very plump and tender. I used the exact measurements in your recipe. Any ideas on what I did wrong or could do better? Thanks so much! Just made this with 2% milk and brown sugar. Delicious! Like others, I simmered it for an extra 10 minutes. Thanks Deb! Made this last night using up kitchen goodies. First time making risotto, so I was unsure if it should be covered or uncovered during the cooking. Common sense prevailed – uncovered! I was so scared of scorching, so I cooked super low which is why it took longer as other comments mentioned. On the last 10 min, I turned up heat to speed up! GREAT recipe – I’ve never had rice pudding! Thanks, Deb! I’ve been a silent follower and admirer of your blog for years and I absolutely love your recipes and writing style!! Pooja — Thank you! I had the 5 quart at the time. I have a 6 quart now. I miss the 5 quart but I also don’t bake in large quantities so the extra space is wasted on me. I think this is about the fifth SK review I’ve written today; I’m catching up! I like this recipe because it’s so easy, and it turns out whether you halve it, quarter it, or double it. I always put raisins in it, and no other spices. When it’s ready I stir in some whipped cream and eat it with a big spoon. Total comfort food! Oh my goodness, your son is awesome. I bet Italians do it all of the time — it’s such a creamier rice, especially once stirred a lot. You should try folding in homemade whipped cream at the end– there’s a restaurant in Paris, Chez l’ami Jean, whose riz au lait is unfathomably delicious and it’s essentially this recipe with the fluffiest, creamiest whipped cream that completely transforms the pudding into a voluminous, smooth, creamy heaven. It’s unbelievable! Hanna — That reminds me of Danish risalamande, which does the same. I love it at Christmas. Well, I’m happy for you that you have a kitchen aid and love it and want to use it. but this blog has been kind of a happy place for me to hang out recently, because you actually can give and do give instructions and info for turning out baked goods and other such things (things that need mixing that is) without the use of a kitchen aid. I not only have a fairly small kitchen, I also don’t have a dishwasher. So kitchen aid = bad bad bad. So I don’t have one and probably won’t have one in the near future. :( Anyway, best of luck with your new love. I guess it had to happen sometime (and if I had gotten one of those as a gift, I would have used it way sooner). Just don’t forget you have fans who don’t have one and need instruction on life without one. . .
EL — Thanks. I make sure to always mention when you can get away without one and, indeed, you really can with 95% of recipes, especially if you have an electric hand mixer. In fact, I even go so far as to not recommend anyone buy one unless they’re avid bakers. I still do the vast majority of my mixing with an inexpensive hand mixer because it’s too much of a pain to take down the KA for most things. of milk. Any idea of what went wrong with mine? This is the best rice pudding recipe. Instead of 4 cups whole milk I used 2 cups canned coconut cream (from Trader Joe’s) and 2 cups vanilla almond milk (homemade), one split vanilla bean and 10 green cardamom pods. The pods and bean were easy to remove with a small spoon once the pudding had chilled in the frig.